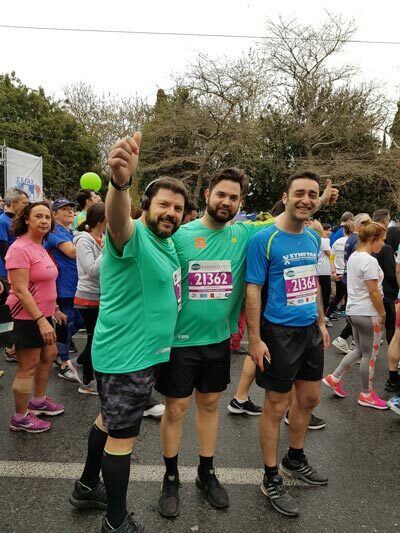 Symetal Running Team shared for the first time 7 participations (5km and 21km races) in the 2018 Athens Half Marathon event, held on Sunday, March 18 and co-organized by the Hellenic Athletics Federation (SEGAS) and the City of Athens. Athens Half Marathon is a unique celebration in the centre of Athens; an exceptional spring experience in the heart of the city that brings together sports, culture and entertainment; a race that gives us the opportunity to enjoy the city’s charm, enhancing the meaning of “togetherness” and companionship. Despite the showers and the lower than expected temperature, the event attracted a lot of interest and all our runners crossed the finish line with good results, after their strong presence in the Athens Marathon. The Authentic on November 2017. The Symetal family feels particularly proud of its participation in this unique athletic event, sending out a positive message that shows the importance of physical exercise and team spirit. We are looking forward to our future participations!